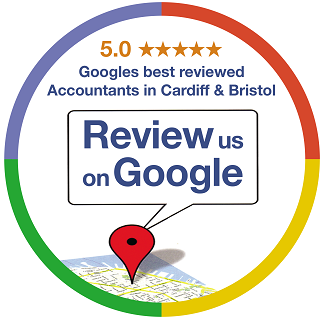 Our customers are our source of inspiration and smiles on their faces give us job satisfaction that money can never buy.Our customers rate us as the best local accountants and bookkeepers in Cardiff and Bristol because we welcome them as heart and soul of our economy. We share their passion and take pride in their growth. Our aim is not short-term accounting and bookkeeping but fostering business relations for years to come.Our passion takes us beyond the remit of financial and management accounting and helps us get to know each client personally. We tailor services to meet business needs and make sure we are only a phone call away from you.Whatever your business and whatever your revenue, for us you are equally important and your success is our success. I decided to change from my previous accountants this year as my business was growing and needed a more competent team to be able to manage the intricacies of my business needs. Total books were not only the right choice but have constantly impressed me with their professionalism, honesty, and attention to detail. Friendly and approachable they offered me a service that was great value for money with business and sales advice and reporting all built into the cost and from start to finish they have been nothing short of amazing. I am extremely grateful to have met Buhir, Adil and Mohammed will be recommending them to all my colleagues and business friends. We are photographers in the CF64 area of Cardiff and cover all of the Cardiff and wales area. We here at Fitzgerald Property Services are very happy with Total books Accountants, we have used their services for the last 3 years and never looked back. Their service is second to none and we feel safe in the knowledge that they take care of all our accounting and bookkeeping needs. We here at Fitzgerald Property Services are very happy with Total books Accountants, we have used their services for the last 3 years and never looked back. Their service is second to none and we feel safe in the knowledge that they take care of all our accounting and bookkeeping needs. Very reliable and efficient.I do recommend him for any business. We are a Charity in Bath and have been using Total Books for Accountancy, Tax, Ltd company and other services for nearly 3 years. We have recommended him to many other Clients. Professional, transparent, flexible! Buhir helped me have a hassle free end of the tax year despite having contracted his accounts/tax service in the eleventh hour! Buhir delivered extra value through his invaluable financial and general business advises! I would warmly recommend his service and expertise to anyone needing an accountant or a tax advisor. Services: PROPERTY ACCOUNTS, CAPITAL GAINS TAX, PERSONAL TAX RETURN & BOOKKEEPING. Fantastic service – couldn’t be happier! Aside from prompt and competent Accountancy and Bookkeeping services, Total Books have gone above and beyond their call of duty with the amount of useful advice and guidance that they have shared. Buhir is always happy to take the time to discuss and patiently explain anything which I am unsure of, which is of massive help to someone like myself who is fairly new to the world of business. Can’t recommend Total Books highly enough. Very pleased with the service provided, recommend! Transparent, open, honest, very organized – true professionalism and a pleasure to work with. Total Books have always given my companies excellent guidance, taking a lot of the strain out of running businesses and helped us get to where we are today. Total Books helped me get my accounts in order quickly and calmly – and in a limited amount of time too. His reassuring and friendly manner made the process all the easier. Highly recommended. I would not hesitate to recommend the services of Total Books. Buhir is a committed, hardworking person with an excellent attitude to work which he completed to a good standard. He was well liked by and got on with all of us at Ashbys.